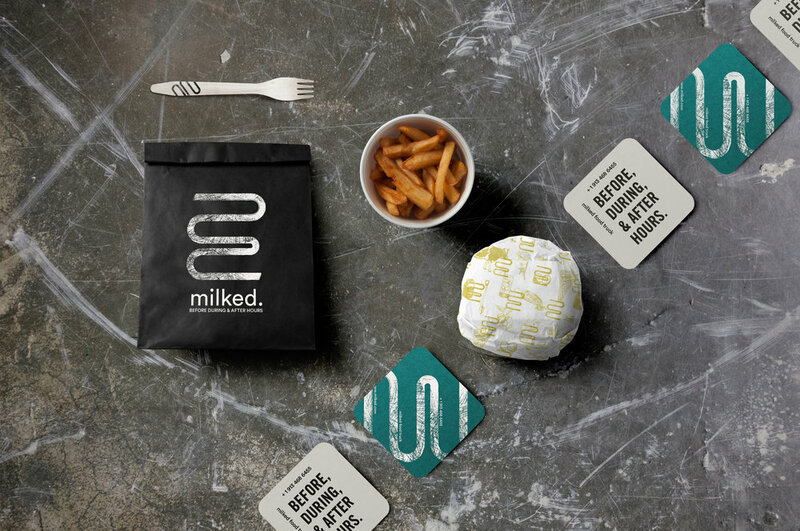 Milked is a food truck identity designed with adults in mind. By combining a sophisticated color palette with hand drawn patterns and illustrations, their identity creates an inviting atmosphere for a night out. 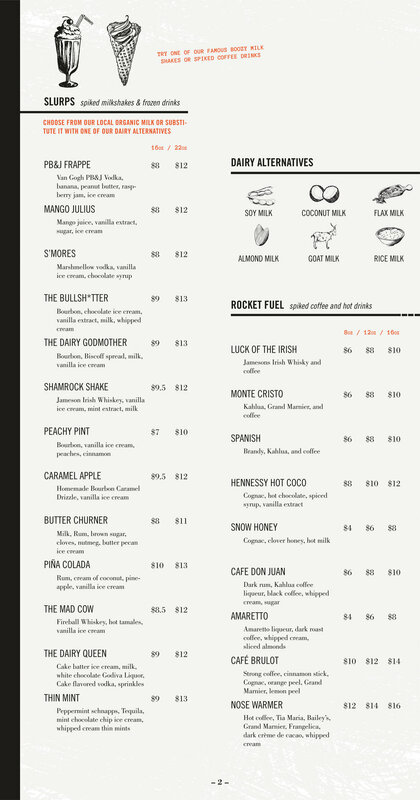 The menu is filled with spiked shakes, chic small plates, and sampler boards for parties of 3 or more. 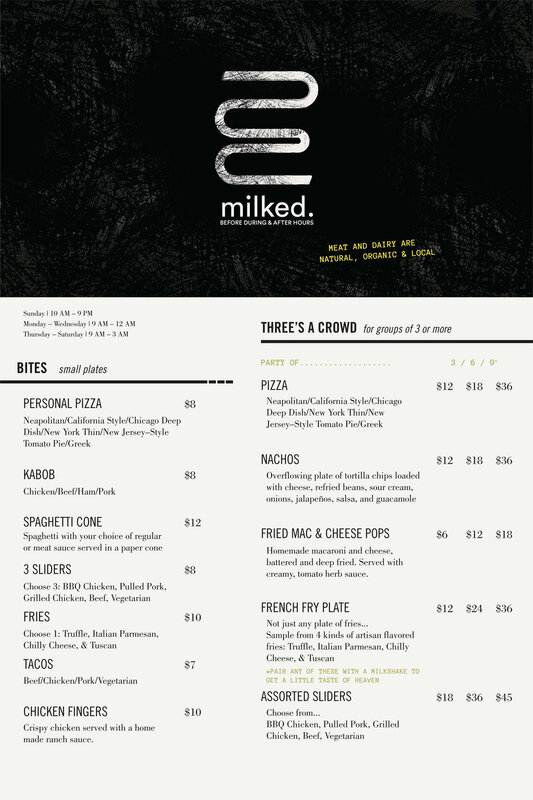 Milked offers a variety of dairy alternatives and proudly uses locally and humanely cultivated produce and meat.